Adding a low dose of the antipsychotic aripiprazole to the antidepressant regimen of older adults with treatment-resistant depression may help them achieve and sustain remission, according to a study published yesterday in the Lancet. Previous studies show that more than half of older adults with major depressive disorder fail to respond to selective serotonin reuptake inhibitors (SSRIs) or serotonin-norepinephrine reuptake inhibitors (SNRIs). In the current study, Charles Reynolds, M.D. (pictured left), a professor of geriatric psychiatry at the University of Pittsburgh School of Medicine, and his colleagues tested the effectiveness and safety of aripiprazole as an adjunctive therapy to venlafaxine in 468 adults aged 60 and over with no history of cognitive deficits. Each study participant received an extended-release formulation of venlafaxine—ranging from 150 mg per day to 300 mg per day—for 12 weeks. Of the 181 patients whose symptoms did not remit after 12 weeks of treatment, 91 were randomly assigned to receive venlafaxine for another 12 weeks with the addition of 10 mg to 15 mg of aripiprazole and 90 received placebo in addition to venlafaxine each day. Remission was defined as a Montgomery Asberg Depression Rating Scale score of 10 or less (and at least 2 points below the score at the start of the randomized phase) at both of the final two consecutive visits. The results showed that combined venlafaxine and aripiprazole therapy led to remission of depressive symptoms in 44% of treatment-resistant patients compared with 29% of participants who received venlafaxine and placebo. Akathisia and Parkinsonism were the most common adverse events reported by participants in the aripiprazole adjunctive therapy group, occurring respectively in 26% and 17% of those patients. No differences were reported between groups in changes in percentage of body fat, or in total cholesterol, HDL, LDL, triglycerides, glucose, or insulin concentrations. The American Society of Addiction Medicine (ASAM) has released a national practice guideline on the use of medications to treat opioid use disorders. The guideline was created in response to the rapid increase in recent years in the number of people misusing and overdosing on morphine and other opioids (both prescription and non-prescription). The guideline was developed by a multidisciplinary committee consisting of specialists in addiction medicine and other fields to assist physicians in evaluating, managing, and treating patients with opioid use disorder. The guideline provides specific and evidence-based guidance on selecting the best treatments for opioid use disorders. These include the opioid agonist methadone, the partial agonist buprenorphine, the opioid antagonist naltrexone, and the opioid blocker naloxone. The guideline also discusses the importance of pairing any pharmacological treatment of opioid use disorder with psychosocial treatment and includes recommendations for patient populations with special needs, such as those with comorbid psychiatric disorders. The APA’s Practice Guideline on Substance Use Disorders also includes a section on managing opioid use disorders. A family-based cognitive-behavioral intervention aimed at families in which at least one parent had an anxiety disorder reduced the likelihood that children in the family developed anxiety disorders, according to a study published today in AJP in Advance. For the study, Golda Ginsburg, Ph.D., a professor of psychiatry at the University of Connecticut Health Center, and colleagues randomly assigned 136 families to either the eight-week Coping and Promoting Strength program or a control condition using an informational pamphlet. All participating families had at least one parent who met DSM-IV-TR criteria for an anxiety disorder and one child aged 6 to 13 without an anxiety disorder. As part of the intervention program, each family met individually with a trained therapist for 60 minutes a week for eight weeks. The families were taught how to identify the signs of anxiety and how to reduce anxiety, problem solving, parenting strategies, and more. Participants in the information-monitoring group received a 36-page pamphlet containing information about anxiety disorders and associated treatments. Anxiety was assessed before the trial began, at the end of the intervention (or eight weeks after randomization), and at follow-ups six and 12 months later. Children in the intervention group had lower symptom scores after finishing the program. Just three children (5%) in the intervention group met criteria for an anxiety disorder by the end of the 12-month follow-up period compared with 19 children (31%) in the information-monitoring group. At the one-year follow-up, youth in the control group also had higher anxiety symptoms ratings than those in the intervention group. “[A]mong youth who received the intervention, those with high baseline anxiety symptom severity levels showed greater reductions in severity than those with low baseline levels, which suggests that the intervention is particularly helpful for youth with elevated anxiety symptoms,” the study authors wrote. While the study authors noted that the work needs to be replicated in a larger and more demographically diverse cohort, it may represent a step forward in efforts to reduce the number of children and adolescents with anxiety disorders. While the uptick in the percentage of U.S. children diagnosed with attention-deficit/hperactivity disorder (ADHD) over the past decade has led some to question the validity of these diagnoses, a recent CDC report suggests that providers have regularly followed clinical practice guidelines when diagnosing the disorder. The findings are based on data collected during a follow-up survey to the 2011–2012 National Survey of Children’s Health (NSCH)—a nationally representative telephone survey of households with children from birth to age 17 in the United States. For the follow-up, parents with children aged 2 to 15 who had been told by a physician or other health care provider that their child had ADHD were recontacted and asked questions about the steps that led to the diagnosis. A total of 2,976 ADHD interviews were completed from January to June 2014. 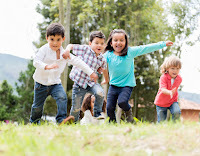 To evaluate children for ADHD, the American Academy of Pediatrics (AAP) recommends that providers perform a diagnostic evaluation using the Diagnostic and Statistical Manual of Mental Disorders and assess the extent of the child’s impairment and the pervasiveness of the impairment across multiple settings. AAP also recommends that information on the child's behavior be obtained from multiple people, including parents, teachers, and other child care providers. The results of the follow-up survey revealed that the median age at ADHD diagnosis was 7 years, and about 1 in 3 children (30.7%) was diagnosed before age 6. Approximately one-half of children with ADHD were diagnosed first by a primary care provider, such as a pediatrician (39%) or general health physician (14.1%). Approximately 1 in 4 children diagnosed with ADHD before age 6 (23.7%) was first diagnosed by a psychiatrist; when diagnosed at an older age, children were less likely to be diagnosed by a psychiatrist (15.6%). Parents were also asked about the methods used by the diagnosing provider to assess their child for ADHD. Consistent with best practices, behavior rating scales or checklists were used for 89.9% of children assessed for ADHD. Additionally, more than three-quarters diagnosed before age 6 and nearly two-thirds diagnosed at ages 6 and over had undergone neuropsychological testing. For the majority of children (81.9%), at least one adult outside the family was involved in the diagnostic process. “Describing the diagnostic experiences of a representative sample of U.S. children with ADHD is an important step toward understanding how children are diagnosed with ADHD in the United States and helps to inform efforts that seek to ensure that best practices are used in the evaluation and diagnosis of the disorder,” the study authors wrote. The Food and Drug Administration (FDA) last week approved Vraylar (cariprazine), a dopamine D2/D3 receptor partial agonist, as a treatment for schizophrenia and bipolar disorder in adults. The approval was based on a set of six controlled clinical trials that included over 2,700 adults with bipolar disorder or schizophrenia. Vraylar was shown to reduce the symptoms of both disorders compared with placebo, and was fairly well tolerated, with the most commonly reported adverse reactions being extrapyramidal symptoms and restlessness (akathisia). Vraylar is one of the first FDA-approved antipsychotics that has demonstrated efficacy in alleviating negative symptoms of schizophrenia such as a lack of motivation or desire. It is important to have a variety of treatment options available to patients with mental illnesses so that treatment plans can be tailored to meet a patient's individual needs,” Mitchell Mathis, director of the Division of Psychiatry Products in the FDA's Centre for Drug Evaluation and Research, said in an FDA release. Gedeon Richter Plc. had previously submitted an approval request for this drug in 2013 that was turned down by the FDA, with the agency acknowledging the drug’s effectiveness but requesting more data, particularly information on optimal dosing for this oral, once-daily drug. According to a release by Gedeon Richter and Allergan, the recommended dose range for Vraylar for the acute treatment of adult patients with manic or mixed episodes associated with bipolar I disorder is 3 to 6 mg/day and 1.5 to 6 mg/day for the treatment of schizophrenia in adults. To learn more about cariprazine, see the Psychiatric News article “As FDA Decision Nears, Cariprazine Collects More Proof of Efficacy. A reanalysis of data from a 2001 study that concluded paroxetine to be generally well tolerated and effective for treating major depression in adolescents has raised questions over the safety and effectiveness of the drug in this patient population, according to a paper published Wednesday in the BMJ. The original study, published in the Journal of the American Academy of Child and Adolescent Psychiatry (JAACAP), describes an eight week, double-blind randomized control trial that compared the safety and effectiveness of paroxetine (20 mg to 40 mg) and imipramine (gradual upward titration to 200 mg to 300 mg) with placebo in 275 adolescents aged 12 to 18 with major depression. 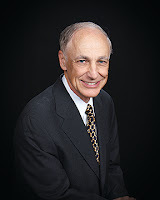 In the paper, Martin Keller, M.D., of Brown University and colleagues reported that after eight weeks, those in the paroxetine group demonstrated significantly greater improvement compared with placebo on the Hamilton Rating Scale for Depression (HAM-D) total score, HAM-D depressed mood item, depression item of the Schedule for Affective Disorders and Schizophrenia for Adolescents-Lifetime version depressed mood item, and Clinical Global Impression score. “That one can do better reanalyzing adverse-event data using refinements in approach that have accrued in the 15 years since a study’s publication is unsurprising and not a valid critique of our study as performed and presented,” Keller and his colleagues noted in a letter in response to the BMJ article. The authors concluded, “In summary, to describe our trial as 'misreported' is pejorative and wrong, both from consideration of best research practices at the time, and in terms of a retrospective from the standpoint of current best practices. Yesterday, the Food and Drug Administration announced that it is making changes to the requirements for monitoring, prescribing, and dispensing clozapine, a medication intended to treat symptoms of schizophrenia and recurrent suicidal behavior in patients with schizophrenia and schizoaffective disorder. The modifications are part of an effort to address continuing safety concerns over the increased risk of neutropenia—a serious blood condition characterized by dangerously low numbers of neutrophils (white blood cells that help fight infections)—in patients being treated with clozapine. As part of the new changes, the FDA has clarified and enhanced the prescribing information for clozapine that explains how to monitor patients for neutropenia and manage clozapine treatment. In addition, the agency announced a new, shared risk evaluation and mitigation strategy (REMS) called the Clozapine REMS Program to improve the monitoring and management of patients with severe neutropenia. This program, which will require prescribers, pharmacies, and patients to enroll in a single centralized program, replaces the six existing clozapine registries maintained by individual clozapine manufacturers. Neutropenia will now be monitored by the absolute neutrophil count (ANC) only, rather than in conjunction with the white blood cell count. The requirements for ANC are also being modified so that patients will be able to continue on clozapine treatment with a lower ANC—a change that will allow continued treatment for a greater number of patients. Patients with benign ethnic neutropenia, who previously were not eligible for clozapine treatment, will now also be able to receive the medicine. “The revised prescribing information facilitates prescribers’ ability to make individualized treatment decisions if they determine that the risk of psychiatric illness is greater than the risk of recurrent severe neutropenia, especially in patients for whom clozapine may be the antipsychotic of last resort,” the FDA noted in a statement announcing the changes. Patients who are currently treated with clozapine will be automatically transferred to the Clozapine REMS Program. In order to prescribe and dispense clozapine, prescribers and pharmacies will be required to be certified in the Clozapine REMS Program according to a specific transition schedule starting October 12, 2015. Older adults with vitamin D deficiencies showed more rapid cognitive decline than those with adequate vitamin D levels, reports a study published today in JAMA Neurology. To assess associations between vitamin D status and trajectories of change in subdomains of cognitive function, researchers from Rutgers University and the University of California, Davis, monitored 382 people (average age of 75) for around five years. The participants were a diverse group, both in ethnicity and cognitive status at baseline. Around 60% of all the study participants had low vitamin D levels in their blood, including 70% of the African-American and Hispanic participants. Those who were either vitamin D deficient (less than 12 ng/mL serum levels) or insufficient (12 to 20 ng/mL) had faster declines (around 2 to 3 times faster) in episodic memory and executive function than those with adequate vitamin D levels, independent of other potential risk factors, the authors reported. Vitamin D status was not significantly associated with declines in semantic memory or visuospatial ability, however. When removing those participants who had dementia at the start of the study, the correlation between vitamin D and cognitive decline was still present. “Given that [vitamin D] insufficiency is medically correctable, well-designed clinical trials that emphasize enrollment of individuals of nonwhite race/ethnicity with hypovitaminosis D could be useful for testing the effect of [vitamin D] replacement on dementia prevention,” the study authors wrote. While there have not been any clinical studies demonstrating that vitamin D supplementation can improve memory, the study authors suggested older patients should consult their physicians about taking vitamin D.
Twenty-one medical and advocacy organizations have joined in APA’s campaign urging fashion designer Kenneth Cole to remove a billboard message in Manhattan that creates the misleading impression that people who suffer from mental illness are violent. The organizations represent the nation's psychiatrists, psychologists, social workers, and patients and their families. Since the billboard message was posted a few weeks ago, APA has been conducting an intensive information campaign to set the record straight about the link between mental illness and violence and to urge Mr. Cole to remove the stigmatizing message. APA members who would like to participate in the campaign are urged to join the conversation on Twitter at #GIVESTIGMATHEBOOT. Although it is well established that patients with schizophrenia have deficits in cortical gray matter, a meta-analysis published in Biological Psychiatry suggests that cumulative antipsychotic intake and the type of antipsychotic a patient with schizophrenia takes may influence the degree of gray matter loss over time. Researchers from the University of Brescia School of Medicine in Italy led an retrospective study to determine if changes in cortical gray matter differ between patients with schizophrenia who take first-generation antipsychotics (FGAs) and those who take second-generation antipsychotics (SGAs). The researchers compiled data from 18 longitudinal magnetic resonance imaging studies—published from January 1, 1983, to March 31, 2014—including 1,155 patients with schizophrenia and 911 healthy controls. The results showed that patients with schizophrenia showed significantly higher loss of total cortical gray matter volume over time than healthy controls, which was related to cumulative antipsychotic intake during the interval between imaging scans among the longitudinal studies. When comparing changes in cortical gray matter volumes in patients who were treated with FGAs with those who were treated with SGAs, the researchers found that participants who were administered FGAs had greater gray matter loss compared with those who took SGAs. “On the whole, our results indicate that the putative contributory role of antipsychotic treatment in reducing the volume of cortical [gray matter] in schizophrenia cannot be generalized and appears to be less evident for SGAs, which seem to be associated with less loss of brain tissue,” the study authors wrote. In 2014, an estimated 9.4 million U.S. adults aged 18 or older (3.9% of all adults) had serious thoughts of suicide in the past year, including 2.7 million who made suicide plans and 1.1 million who made a nonfatal suicide attempt, according to a report released today by the Substance Abuse and Mental Services Administration (SAMHSA). The report also shows that these percentages have remained relatively stable since SAMHSA started tracking these issues in 2008. The findings—which are based on SAMHSA’s 2014 National Survey on Drug Use and Health report, an annual national survey of 67,500 Americans aged 12 and older—point to several groups that may be at a particularly high risk of suicide. For example, 11.9% of adults with a substance use disorder in the past 12 months had serious thoughts of suicide, 3.9% of these adults made suicide plans, and 2.1% of these adults made nonfatal attempts at suicide. Similarly, rates of suicidal thoughts and behaviors were higher among adults who experienced a major depressive episode in the past 12 months. Around 29.5% of these adults reported serious thoughts of suicide, 9.7% made suicide plans, and 3.4% made nonfatal attempts at suicide. Among adults in 2014 who had serious thoughts of suicide in the past year, nearly half (48.6%) did not receive any mental health services in the past year, and about 1 in 7 perceived a need for mental health care but did not obtain care. SAMHSA is providing free copies of a booklet designed to help people who have attempted suicide take their first steps toward healing and recovery. A Journey Toward Health and Hope: Your Handbook for Recovery after a Suicide Attempt features firsthand experiences of individuals who have survived a suicide attempt and their supporters. Today is World Suicide Prevention Day. The theme for this year—Preventing Suicide: Reaching Out and Saving Lives—is meant to highlight the importance of support and the role it can play in combating suicide. APA is posting messages on its social media throughout the day on suicide prevention. APA members are urged to join the conversation on Twitter at @APAPsychiatric and #SuicidePrevention and follow American Psychiatric Association on Facebook. The proposed mergers of four giant health insurance companies—Anthem-Cigna and Aetna-Humana—will eliminate consumer choice and encourage insurers to raise prices; they are also likely to have an especially dire effect on access to psychiatric care. That’s what APA President Renée Binder, M.D., and CEO and Medical Director Saul Levin, M.D., M.P.A., told U.S. Assistant Attorney General William J. Baer, in a letter today expressing APA’s grave concerns about the proposed mergers. In addition, Binder and Levin noted that seven years after passage of the Mental Health Parity and Addiction Equity Act, insurance companies have continued to use a variety of strategies to restrict access to psychiatric care and that the proposed mergers would likely make it easier for them to do so. * Look into the merging parties’ treatment of patients with mental illnesses, including substance use disorders, and critically evaluate the adequacy of the networks by demanding data on claims filed by each psychiatrist listed in the directory. * Gather claims data on out-of-network versus in-network claims paid for mental health care as compared with other types of health care. * Compare the denial rates between mental health and other health claims. * Explore the basis for discriminatory rates paid to psychiatrists versus other physicians for the same CPT codes and associated impacts on access to care. * Explore the guideline-setting process, instructions, and payment models used by the companies with reviewers. Traumatic brain injury (TBI) is associated with a higher risk of posttraumatic stress disorder (PTSD), generalized anxiety, and depression approximately three and nine months after returning from deployment in a combat zone, according to a recent report in AJP in Advance. Researchers from multiple institutions drew on data from the Pre/Post Deployment Study (PPDS), a prospective, longitudinal component of the Army Study to Assess Risk and Resilience in Service Members (Army STARRS). The PPDS is a multiwave panel survey that collected baseline data from U.S. Army soldiers in three Brigade Combat Teams during the first quarter of 2012, within approximately six weeks of their deployment to Afghanistan. Follow-up data were collected from these same respondents at three times after they returned from deployment: within one month of their return (T1), approximately three months later (T2), and nine months later (T3). Complete information was available for 4,645 soldiers, approximately 1 in 5 of whom reported exposure to mild or more-than-mild TBI(s) during deployment. The authors found that even after adjusting for risk factors (including predeployment mental health status, severity of deployment stress, and prior TBI history), deployment-acquired TBI was associated with elevated adjusted odds of PTSD and generalized anxiety disorder at T2 and T3 and of major depressive episode at T2. Suicidality risk at T2 appeared similarly elevated, but this association did not reach statistical significance. “Importantly, PTSD was not the only outcome related to TBI,” said study coauthor Robert Ursano, M.D., director of the Center for the Study of Traumatic Stress at the Uniformed Services University of the Health Sciences. “Risk was also increased specifically for generalized anxiety disorder post deployment and for a composite outcome of PTSD, major depressive episode, generalized anxiety disorder, and suicidality. And the more severe the TBI, the greater the risk,” he told Psychiatric News. “The results suggest that the extent of injury to the brain moderates the likelihood of the development of mental health sequelae and that our focus on post-TBI surveillance needs to be broadened to include not only PTSD but also other anxiety and depressive disorders,” Ursano said. 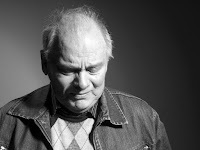 Forty years later, an estimated 271,000 veterans of the Vietnam War have current posttraumatic stress disorder (PTSD) or subthreshold PTSD—one-third of whom also have current major depressive disorder, according to the National Vietnam Veterans Longitudinal Study (NVVLS), published in the September issue of JAMA Psychiatry. The NVVLS reassessed a sample of 2,348 veterans who were first studied 25 years ago as part of the National Vietnam Veterans Readjustment Study (NVVRS). For the study, researchers used a variety of instruments to evaluate PTSD and depression, including the Clinician-Administered PTSD Scale for DSM-5 (CAPS-5) and the PTSD Checklist for DSM-IV supplemented with PTSD Checklist for DSM-5 items (PCL-5+). Among male theater veterans, the researchers estimate a current prevalence of war-zone PTSD based on CAPS-5 criteria of 4.5% or 10.8% for current full plus subthreshold PTSD, and 11.8% prevalence based on the PCL-5. For female veterans, the equivalent rates were 6.1%, 8.7%, and 6.6%. PTSD rates were lower for veterans who were posted elsewhere than Vietnam. The study shows the need for increased access to care and for “anticipating challenges that lie ahead for Iraq and Afghanistan veterans,” Marmar and his colleagues concluded. “No other study has achieved this quality of longitudinal information, and the sobering findings tell us as much about the Vietnam generation as about the lifelong impact of combat service in general, relevant to all generations,” commented Charles Hoge, M.D., of the Center for Psychiatry and Neuroscience at the Walter Reed Army Institute of Research in Silver Spring, Md., in an accompanying editorial. 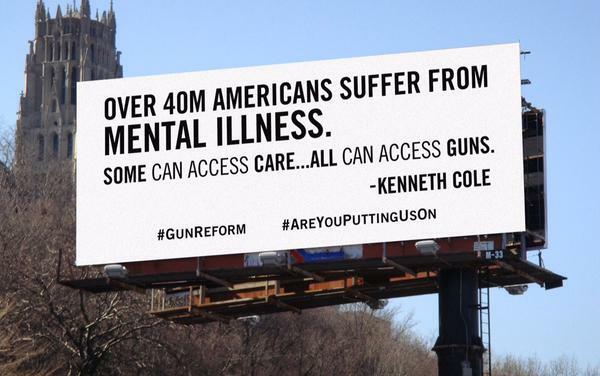 Last week, fashion designer Kenneth Cole posted a billboard linking gun violence with mental illness. In reality, the vast majority of mentally ill people are not violent, and most violent acts are committed by people who are not mentally ill, pointed out Binder. People with serious mental illness are 11 times more likely to be victims of a violent crime in the past year than the general population. Barely two out of five adults with mental illness receive needed treatment. “The right answer here is to get people with mental illness treatment, not marginalize them, especially when stigma is one of the biggest barriers preventing people from receiving care,” wrote Binder. The Affordable Care Act and the Mental Health Parity and Addiction Equity Act together are helping address many of these barriers, she said. Lowering barriers to care will help get people in treatment earlier and help prevent many of the disabling aspects of mental illness. Sharing APA’s outrage over the billboard was the New York State Psychiatric Association, which represents APA members in the state of New York. Under the Twitter hashtag of #givestigmatheboot, APA responded to Cole’s statement with a series of messages to set the record straight. “1 in 4 people with serious mental illness has been the victim of a violent crime in the past year” and “Disappointed with @mr_kennethcole for linking gun violence, mental illness. Follow us to get the facts. #givestigmatheboot” were two of APA’s tweets. APA members who would like to participate in the social media campaign are urged to join the conversation at #givestigmatheboot. “We are advocates for reform on this issue, but suggesting that a vulnerable, stigmatized segment of the population is the cause is ignorant, dangerous, and patently false,” concluded Binder. About 90% of U.S. adults report that mental health and physical health are equally important, yet more than 30% believe that mental health care is inaccessible and 40% believe it’s something that most people cannot afford, according to a recent national online survey. The survey, conducted between August 10 and August 12, asked U.S. adults aged 18 and older about their perceptions of mental health, including whether they had ever been diagnosed with or thought they had a mental disorder and the barriers they viewed to treatment. The survey also asked participants about their experiences with and attitudes toward suicide. A total of 2,020 adults completed the survey, and the results were weighted for age within gender, region, race/ethnicity, income, and education where necessary to align them with their actual proportions in the population. While one-third of adults reported having been diagnosed with a mental health condition by a health care provider, 47% said they may have had a mental health condition at some point, and more than 10% of those surveyed reported missing work days because they were too anxious (14%) or too depressed (16%) to go to work. Participants’ perceived barriers to seeing a mental health professional included the following: 43% viewed it as “something most people can’t afford,” 31% viewed it as “not accessible for most people,” 30% viewed it as “something people do not know where to find.” However, the majority of the 38% of adults who reported having ever received treatment for a mental health condition said that the treatment was helpful, whether the treatment was in-person psychotherapy (82%), prescription medication (75%), or another form of treatment. The survey also found that 55% of all Americans have been affected by suicide in some way. The majority of participants believe that better access to psychotherapy or medication (63%), better training for health care providers (62%), more research into how to help people and why people die by suicide (60%), and educating the public about suicide prevention (59%) would help reduce the number of people who die by suicide. For related information on Americans' attitudes toward mental health care, see the Psychiatric Services report "Attitudes About Required Coverage of Mental Health Care in a U.S. National Sample." Adults and children with attention-deficit/hyperactivity disorder (ADHD) are significantly more likely than those without the condition to be obese, according to a meta-analysis of studies appearing in AJP in Advance. Independent studies evaluating whether an association between obesity and ADHD exists have drawn conflicting conclusions. To examine the relationship between obesity and ADHD, an international team of researchers searched through a broad range of databases and unpublished material to identify population-based studies and clinical studies of individuals with ADHD compared with non-ADHD controls. Of the forty-two studies (which included 728,136 people) selected for inclusion, the researchers found that obesity was significantly associated with an ADHD diagnosis in both adults and children. 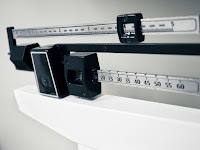 The estimated prevalence of obesity was increased by about 70% in adults with ADHD compared with adults without ADHD and by about 40% in children with ADHD compared with children without ADHD. The researchers also noted that individuals taking medication for ADHD were not at any higher risk for obesity than those with untreated ADHD. To read more about ADHD, see the Psychiatric News article "Study Suggests ADHD in Adults May Be Distinct Disorder." Extended-release guanfacine appears to be safe and effective for reducing hyperactivity, impulsiveness, and distractibility in children with autism spectrum disorder (ASD), according to a study published in AJP in Advance. While extended-release guanfacine is approved for children with attention deficit/hyperactivity disorder (ADHD), the medication is not well studied in children with ASD. Researchers from the Research Units on Pediatric Psychopharmacology Autism Network conducted a multisite, randomized clinical trial comparing extended-release guanfacine with placebo in children with ASD accompanied by hyperactivity, impulsiveness, and distractibility. For the study, 53 boys and nine girls, who ranged in age from 5 to 14 years, were randomly assigned to extended-release guanfacine or placebo for eight weeks. The modal daily dose at week 8 was 3 mg/day (range: 1 mg/day to 4 mg/day) for the extended-release guanfacine group and 3 mg/day (range: 2 mg/day to 4 mg/day) for the placebo group. The guanfacine group showed a 43.6% decline in scores on the Aberrant Behavior Checklist-hyperactivity subscale compared with a 13.2% decrease in the placebo group. The rate of positive response (much improved or very much improved on the Clinical Global Impression-Improvement scale) was 50% for the guanfacine group compared with 9.4% for the placebo group. The most common adverse events reported by the guanfacine group included drowsiness, fatigue, and decreased appetite. For related information, see the Psychiatric News article "AACAP Updates Guidelines on Autism Spectrum Disorder."